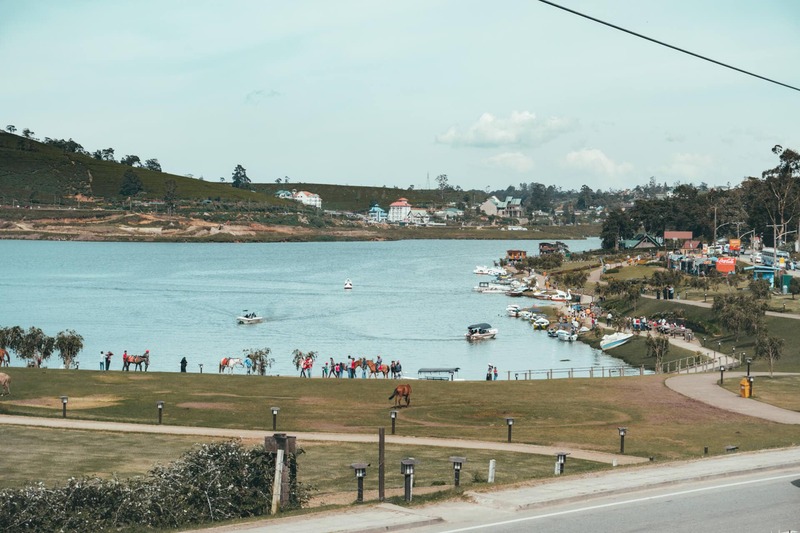 Nuwara Eliya is better known as Little England of Sri Lanka. The climate, surroundings, and architecture of this area are different than other villages. 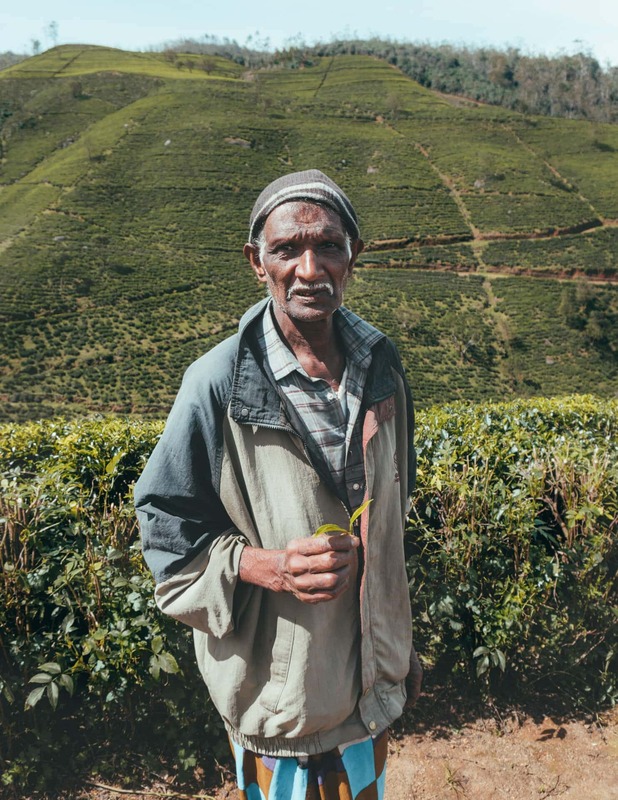 Due to its cooler climate, it is the most important area for tea production in Sri Lanka. 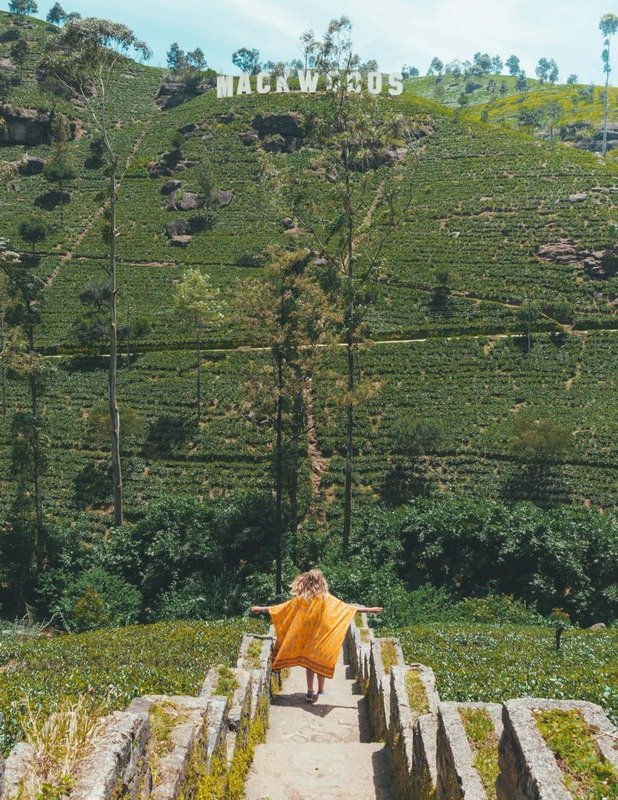 Exploring tea plantations is not the only thing to do in Nuwara Eliya. 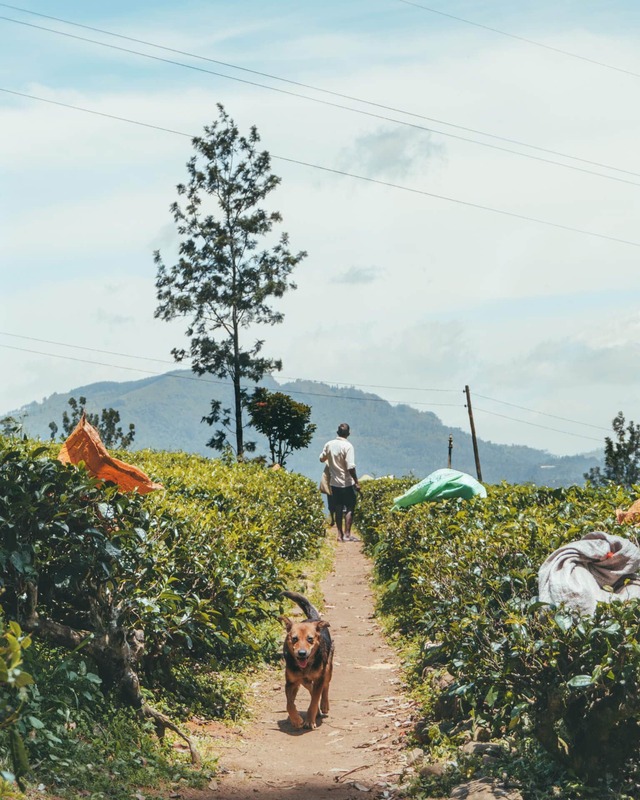 Read our full Nuwara Eliya guide. 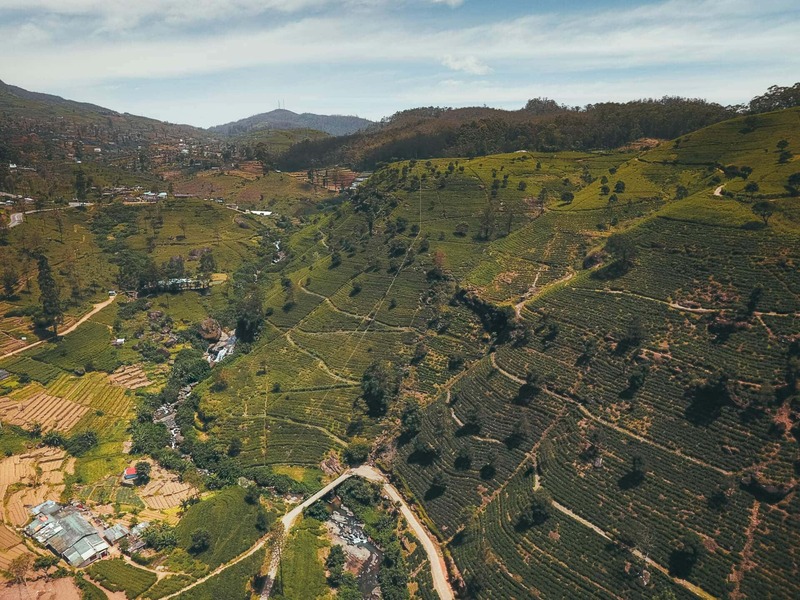 Nuwara Eliya is known for her impressive lush green tea plantations. These are best to visit via tuk-tuk. For around $7 you can arrange a full day trip to the tea plantations, tea factories, viewpoints and the Ramboda waterfall. Stop at several viewpoints overlooking the plantations and drink tea at the impressive tea factories. We can recommend the Bluefield Factory and Bluefield Tea Gardens. 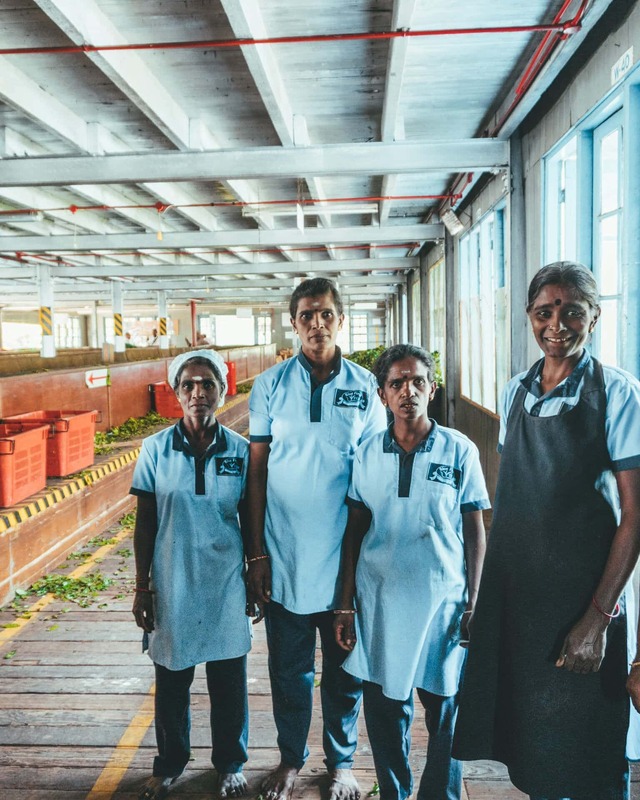 You will get a small tour around the factory to see how the tea process works. The prices at the factory’s shop are 300% of what it should be so maybe just wait and buy this in town. Tip: Make sure you have a small cash on you like 20/50LKR. Each employee that get caught on your photo will ask you for a tip. 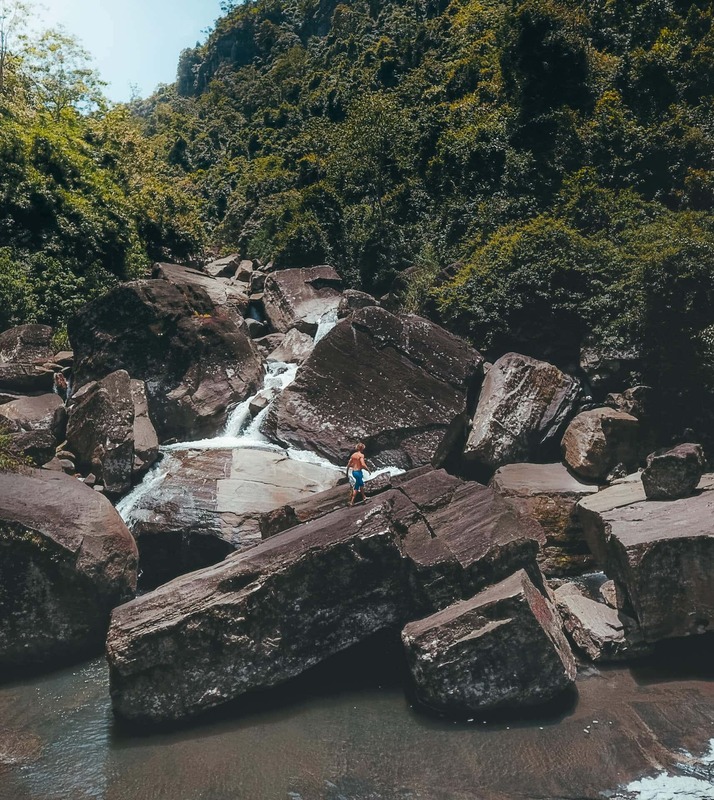 On the day trip route, you will pass multiple waterfalls and one of them is on the side of the road. Get in the water and climb even further up to multiple levels. Be careful, some parts are slippery. It will take 45 minutes to reach the Ramboda Falls which is at the end of the route tea plantations route. Get up really early in the morning and get ready for a good 4 km walk to World’s End. 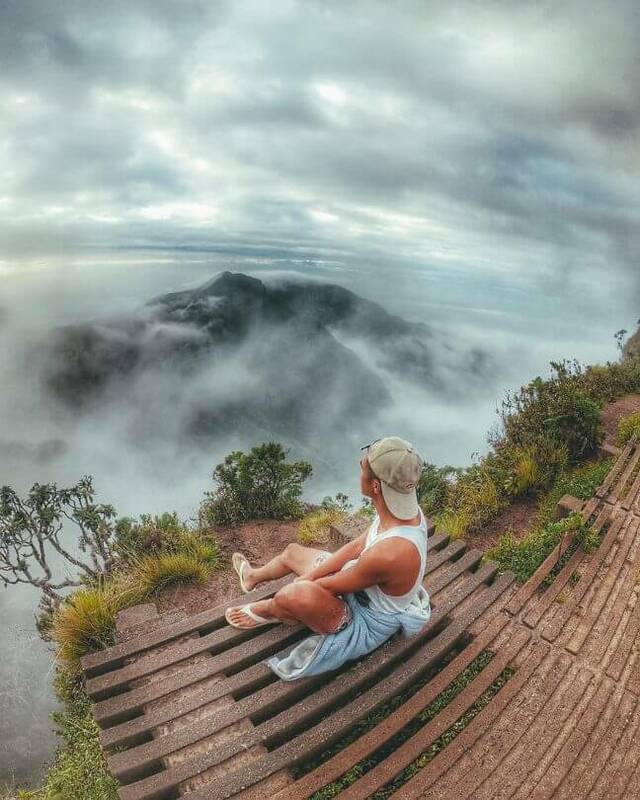 World’s End is located in the Horton Plains National Park which has a UNESCO status. The 9.5 km round trip takes around three hours. Keep an eye on the weather conditions, rain or fog can totally ruin the experience. Rainy season in this region lasts from April to September. It’s better to say what’s the worst time to visit. From June till the end of August, it will be the monsoon. 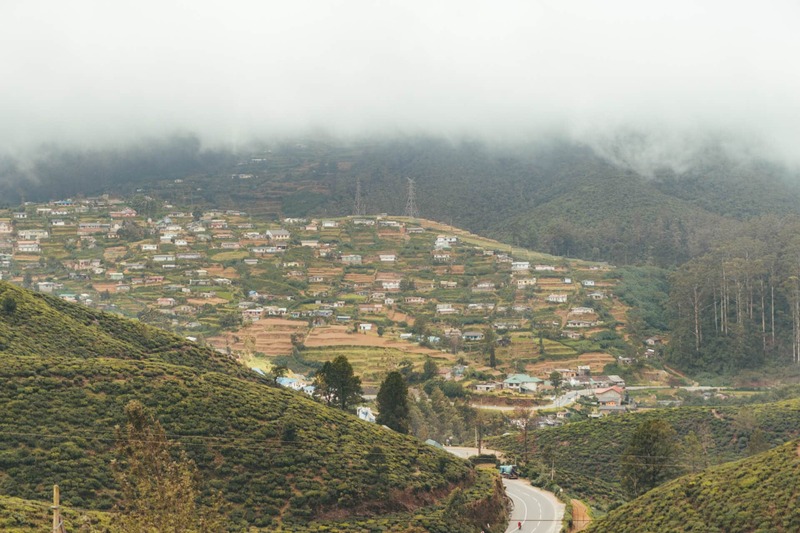 Keep in mind that it can get very cold in Nuwara Eliya compared to other areas in Sri Lanka. We had 10 degrees in the evening in September. 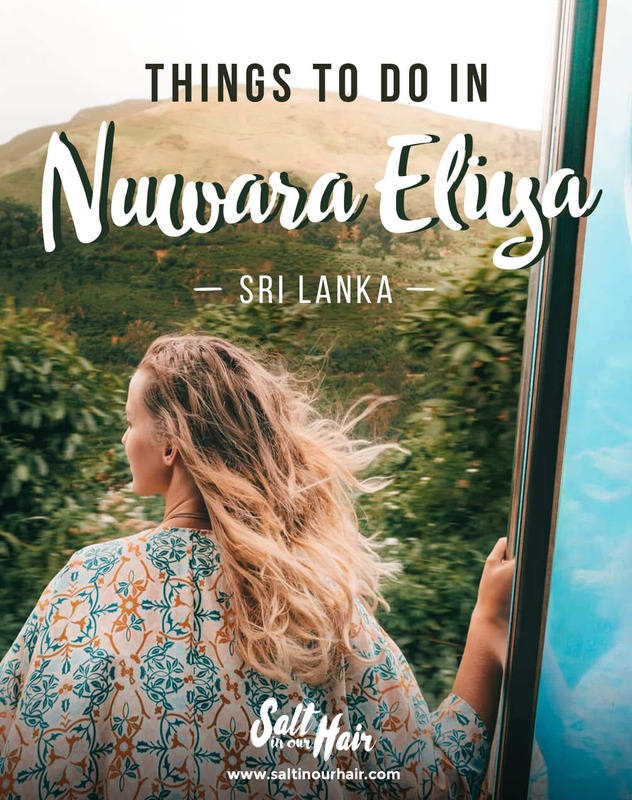 How to get in Nuwara Eliya? 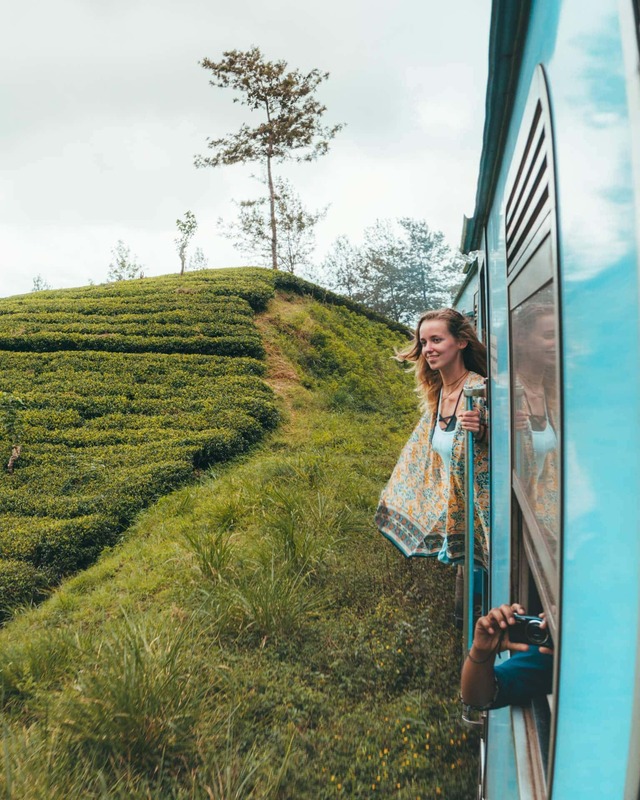 Nuwara Eliya is in between the world famous Sri Lanka’s most beautiful train ride between Kandy and Ella. A ticket from Kandy will cost you around $2,50 / 400 LKR. 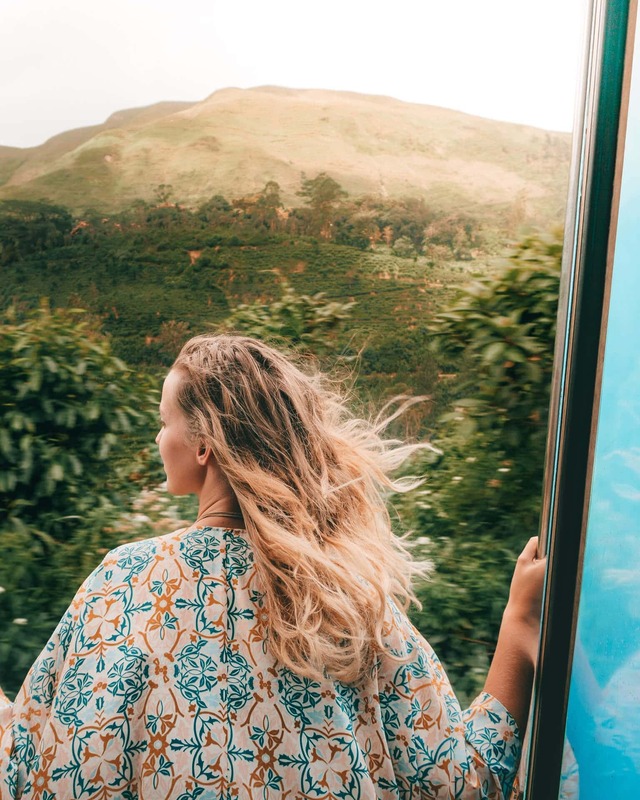 The ride takes 4 hours from Kandy and has been mentioned as one of the most beautiful train routes in the world. 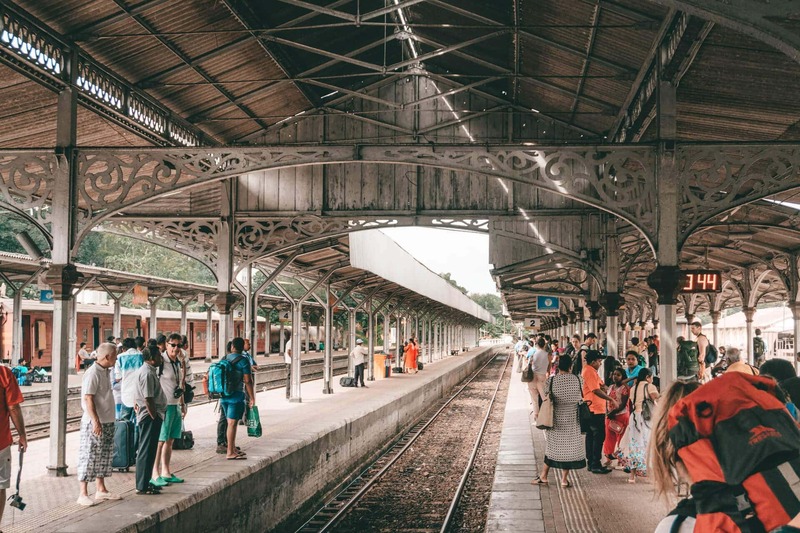 Locals and tourist both use the train so expect the same friendly smiles or questions. Visiting Sri Lanka in high season? Try to buy your 2nd or 3rd class tickets in advance since there are limited tourist seats available. Tip: Get one of the early trains as they don’t really stick to their schedule. You don’t want to drive through the tea plantation while it’s dark outside. Here is a $15 discount at Booking.com when you book through this link.